Keeping a cat for stud is not something to be entered into lightly as it comes with a variety of pitfalls and responsibilities but also comes with its own set of rewards. I will touch on some of the benefits and also the pitfalls of owning your own stud cat in this introductory article but will also be looking to expand on the various aspects of keeping a cat for stud in future articles – so watch this space. Now I know when I first started breeding cats one of the expenses I was eventually glad to see the back of was stud fees. In my breed which is Siamese a stud fee is usually about half the price of a kitten. Add on your blood testing and also the travelling expenses and you can easily be looking at £350 to go out to stud. Then you are tender hooks for the next three weeks waiting for your cat to pink up so you can breathe a sigh of relief that your cat is pregnant. Otherwise it means blood tests and travelling expenses and probably another day off work so you can return your girl to the stud cat for a repeat mating. Most stud cat owners will allow one free repeat mating if your girl does not become pregnant after her first visit. Cats do usually become pregnant when they are taken to stud but it is not unheard of for girls not to become pregnant so it is a risk you take when you use and outside stud boy. Now if you want to keep a stud cat of your own then you are going to have to face the reality that your boy is going to have to live outside. The vast majority of entire male cats spray to mark their territory and also to attract females. Believe me your house will stink if you don’t supply your boy with adequate outdoor cat enclosure and outdoor cat housing. One other reason your stud cat will need outdoor cat housing is because if any of your females are ‘in call’ then he will mate them. This of course includes his sisters, daughters and even his mum! Not only do you need to plan your mating’s to coincide with holidays etc. but you also do not want every girl in the house to have kittens at the same time. Once you have accepted the reality that your stud cat will have to live outdoors then there are also many things to consider when building stud house quarters including the size, location, entertainment, heating and lighting and the need for separate queens quarters. Now for me one of the exciting benefits of owning my own stud cat is that I get the pleasure of taking him to cat shows. All things being equal a top quality male cat is always going to win against a top quality female cat. I am not being sexist; it’s just in my experience how it is. Let’s face it for those of us in this hobby of showing cats – we like to win! Yes taking part is fun, seeing your friends do well with their cats is wonderful but come on if we are honest it’s always better when our own cat wins! Taking your stud cat to cat shows also gives the added benefit of seeing how he measures up against stud cats at other breeding catteries. Seeing them at the same show can often tell you what your stud cat perhaps lacks in and also what hopefully he excels in. Catering his wives to his strengths and weaknesses is all part of being a successful cat breeder. Keeping your stud cat happy is not as easy as you may think and involves many areas that initially you may not have thought of. Your stud boy should be the biggest, strongest and healthiest cat in your breeding program. Selection, regular health checks, good cattery husbandry and a top quality diet all contribute to keeping your stud boy in tip top condition. Keeping your boys inoculations up to date is essential as is regular blood testing to ensure he is free from FeLV and FIP. Mentally your boys health is equally if not more important. 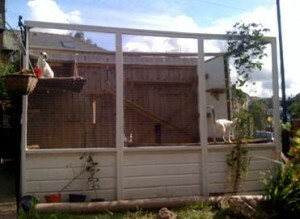 Keeping your cat happy with toys, scratching posts, shelving and a nice view from his stud run are all essential. There are two other things that you must give your stud boy above all else to keep him emotionally happy. Give him your company, please above all else don’t leave him at the bottom of the garden on his own with the only human contact being when you go to clean out his litter, change his water and feed him. You need to set an hour aside every single day to go and sit with him, talk to him and show him you love him. Combine this time with grooming and you are onto a winner, your boy will be happy, used to being handled and also in immaculate show condition at all times. By giving him company you are ensuring you keep his health and temperament as it should be and you can keep a close eye on the health and condition of your cat on a daily basis. The last thing you need to be able to give your stud cat to ensure his happiness is girls! Now finding the balance between too much work and not enough is something that varies cat to cat but it probably safe to say that your boy will need female company at least every six weeks or so. Do you have enough girls for him? Can you cope with all the kittens he will produce? If you open him up to public stud will he get any work? These are just a few of the questions that you need to ask yourself when considering keeping your own stud cat. One of the major benefits of owning your own stud cat is the ability to quickly put your own calling girls in the pen with him, no need for blood tests and no travel expenses. Not only do you save money and time but it is far less stressful for you calling girls to go to your own stud cat rather than having to travel to an outside cattery. With maiden girls (girls that have never been to stud) especially it is not unusual for a cat to not become pregnant on her first mating. I personally like to have my maiden cat’s first visits to a stud cat ‘in house’ so to speak. I believe that the advantage of keeping the stress levels down for my girls by avoiding the trip to the vets and the potentially long journey to an outside stud cat will greatly increase the chances of them conceiving plus of course limit the potential financial risks of going out to stud and not getting a pregnant cat. Not to mention the emotional well-being of my girls and the ability afforded to personally supervise each of the mating’s. Now any decent stud cat is eventually going to produce a kitten that you will want to keep, in fact a good stud cat will almost do this in every single litter if you are doing things correctly. Keeping a home bred kitten is something that all breeders want to do. There are many things to consider when keeping a kitten you have bred such as health, temperament and conformation to standard of points amongst other things. Probably the most important thing to consider when you keep a home bred kitten is who will you choose as their future mate? You will either have to go out to stud if your kitten is female or breed or buy in a male cat that is not too closely related. Can you keep two stud cats? If your kitten is male you will need to breed or buy in more breeding females for him as you now have two males to keep happy and at least one of your females is far too closely related to your new boy! Keeping kittens and cats of your own breeding is something that all breeders need to do if you want to develop your own line. Owning your own stud cat can complicate this and by keeping one kitten you find you actually need to keep or buy in a few!!! When keeping a cat for stud one of the ways you can keep him happy is to allow visiting girls from outside catteries into stud. Now by doing this you will not only keep your boy happy as he has regular female company but you will also be benefiting the gene pool of your chosen breed by allowing other breeding catteries access to your quality stud cat. This sound great doesn’t it, the perfect solution to keeping your own stud cat and enjoying all the benefits associated! You will be keeping him happy as he now has visiting girls to keep him entertained without the consequence of your house being full of kitten all the time! On the face of it I agree it looks like the perfect solution, in reality however life just isn’t that simple! It is a big responsibility accepting a girl into stud; you have to consider her well-being and also your boys and the rest of your breeding cattery. Blood tests, clipped nails, separate sleeping quarters, increased paperwork, increased risks of infections and parasites, supervising and witnessing mating’s, ensuring your boy is not over zealous with a girl and also the increased risk of injury to your boy with any girls of a fiery nature! All hard work, believe me! Another thing to think about when your boy is put at open stud, he might be the new in thing for a while and he might get regular work initially. However if another breeder comes into stud and is lucky enough to get a kitten they want to keep then let’s face it they paid their money, they got what they wanted so why would they come again? Let’s say somebody comes into stud and gets a litter of pets with not a single keeper amongst them, do you really think they will repeat the mating? Trust me when I say this, boys come in and out of fashion. 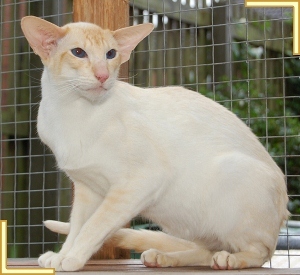 The interpretation of the standard of points changes over time and the look of our cats changes and evolves. No one stud cat no matter how good he is will be kept happy by visiting girls indefinitely. Keeping a stud cat should only be done if you feel confident you can keep him happy as otherwise it will end in disaster. On a personal note I can say that I have found a real bond with my stud cats, not that I don’t love all my girls but I must admit I do seem to form a very special bond with my studs. If I had to pass on one piece of advice about stud cats then I would probably say ‘Make your stud cat the most important cat in your breeding, cater your girls around him and make him feel like the most important cat in the world’. If you follow this advice then with the right stud cat you will breed healthy, show winning kittens with good temperaments and form a special bond with your stud boy that has to be experienced to be understood. I hope you enjoyed my first article on keeping a cat for stud, if you have any tips I have missed then please feel free to discuss them in the comments section below. 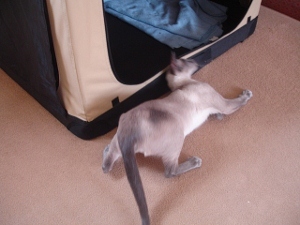 This article was originally published on the popular Siamese Cat Breeder Blog. As the article is equally relevant to any breed of cat we decided to publish it here on UK Cat Breeders. Thank Pina, glad you liked it. I want to add some follow up articles to the blog as there is just so much to keeping a stud cat that I could write about. Great article Ross , will look forward to more. My little Alfie is still indoors at the moment, cant bear the thought of putting him outside, although I know Im going to have to. It took me 9 years of breeding to feel ready for my own stud boy & then a year waiting for him to come along. I think its something that shouldnt be rushed into. He sleeps in my bed at night, Im completely smitten !!! Hi Yvonne – I know just what you mean. I have little Boomer running around at the moment and I dread putting him outside. I am going to write about how to introduce a young male to life outside in an article soon.